The interchange that marks the boundary between the 57 and 60 freeways has seen more than its share of accidents over the years, and has only gotten more dangerous in recent times. Much of the mayhem can be attributed to the overwhelming volume of long haul trucks that converges at this crowded interchange. 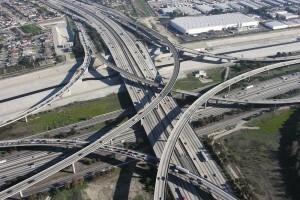 The 57 freeway runs from Orange County to the San Gabriel Valley and the 60 freeway is a main east-west artery from downtown Los Angeles out through the Inland Empire. The number of accidents that involved collisions with these big rigs has been cited as a shocking 250 over the course of the past three years. And the number of trucks that use this dangerous interchange is expected to increase from an average of 26,000 to a total of 44,000 by the year 2035. Of course, there are other issues besides huge trucks for motorists to contend with at this dangerous interchange. A projected restoration project, which calls for the building of much needed off-ramp and bypass roads to relieve the congested area, is projected to begin in 2016, but is still beset with planning and funding issues that may leave motorists in continued jeopardy for many years to come. Another notorious road in the Greater Los Angeles area is Highway 138, which runs from Interstate 15 to Palmdale. Long nicknamed by motorists as the “Death Road”, this highway has racked up over 60 fatalities and 875 injuries in the past two decades. During the peak of the carnage, the narrow two lane highway was claiming the lives of nearly one dozen motorists per year. Although a recent course of renovations, which involved widening out the lanes and adding extra sight lines and warning signs near the most dangerous areas, has considerably improved safety conditions, Highway 138 remains a road to be reckoned with. 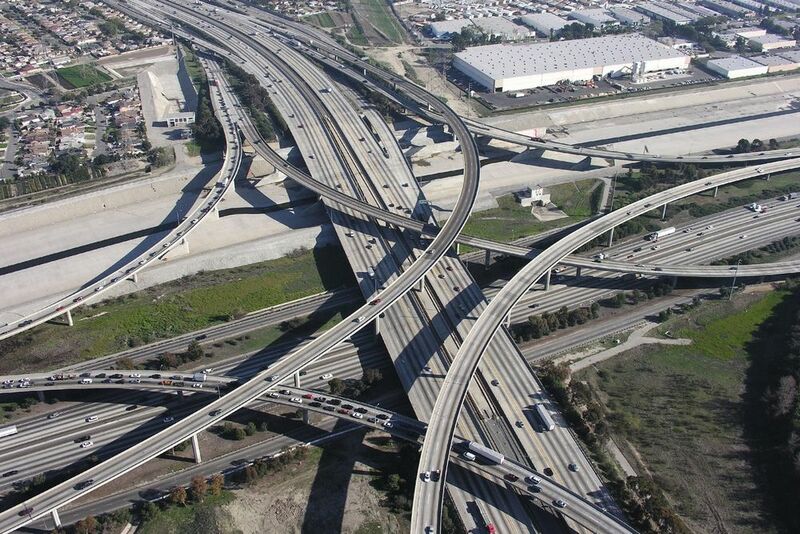 Another notorious and potentially deadly trouble spot in the Greater Los Angeles area is Interstate 710. Although this road stretches for a mere 20 miles across the metropolitan area, it has racked up more than its share of injuries and fatalities over the last decade. In the year 2013 alone, 7 accidents, resulting in 8 fatalities, have been reported along this narrow and crowded strip of highway. As a result, Interstate 710 was duly noted as one of several California highways that made the list of “Top Ten Most Dangerous American Highways”, as compiled by the National Highway Traffic Safety Administration. Why Is Highway Safety At Such An All Time Low? In answer to the question of just why highway safety in California seems to be an all time low, there are several answers that can be given. The main reason is budgetary concerns. While the state wrestles with rising energy costs, concerns over increasing drought, and issues over immigration and taxation, a paralyzing sense of gridlock has made it harder than ever for law makers to focus on pressing issues, such as maintaining and repairing our roads and highways. As a result, it seems that motorists are being increasingly exposed to worsening conditions on the road, and left to fend for themselves as best they can in the event of a vehicle related injury. What Can You Do When The Bills Begin To Mount Up? If you have recently been involved in an automobile accident anywhere in the Greater Los Angeles area, chances are good that you have received injuries that need urgent medical attention. In addition to the bills you unfortunately rack up while recovering in the hospital, there is also the pressing issue of income that you lose while missing days or weeks off from your job. What do you do when the bills begin to mount up and there is no fresh income coming in? As it turns out, there is a solution you can call upon to get your problems addressed and solved. If you have received injuries as the result of an auto accident, whether at any of the above mentioned locations or anywhere else in the Greater Los Angeles area, now is the time to make your claim. A personal injury attorney can help you navigate the sometimes rocky road from receiving your injuries to getting the full settlement that you desire and deserve. If you would like to arrange for a no obligation free consultation with a qualified and experienced personal injury attorney, please click here for additional information.